Buying a home is one of life's major decisions but it doesn't have to be one of the scariest. Our team of agents at Berkshire Hathaway HomeServices Lifestyle Properties put their years of local real estate knowledge to work each and every time we help a family find a new home. In doing so, we take what was once an overwhelming experience and make it as fun and stress-free as possible. 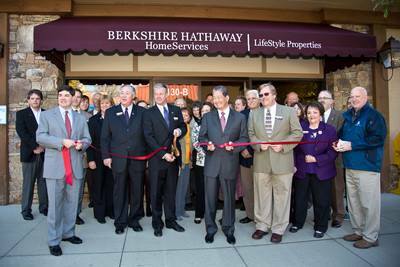 Why Use a Berkshire Hathaway HomeServices Lifestyle Properties Agent? Our agents are working for you. Real Estate rules and regulations in North Carolina may be different than what you are used to coming from another state or if you haven't purchased property in a while. All of our agents stay current with the latest updates so that they can guide you through what can be a confusing process. We take the time to explain every aspect of the transaction, from pre-qualification to the closing table, and we let your needs guide our efforts. We value your time and money. Buying a home is not just complex, it is also expensive! Our team of agents know this area, live in this area, and are from this area. That knowledge gives us the edge in any negotiations and we fight for your best interests every step of the way. Our agents utilize the combined expertise of not only our other local agents but also use the tools entrusted to us by one of the world’s most trusted brands. Berkshire Hathaway HomeServices is an international network of real estate professionals with the latest industry technology and we use that to our advantage whenever possible. Our state of the art mobile app is simple to use and lets each buyer take control of their search.